KingRoot Mobile is an application that runs on Android to gain root privileges on Android devices available. 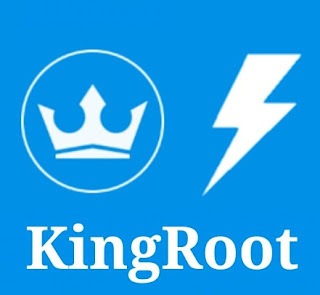 Not only KingRoot can go it, there are many applications that can do it, like RootGenius Mobile, iRoot Mobile, KingoRoot Mobile, 360Root, TowelRoot, FramaRoot and many other applications such as KingRoot Mobile. 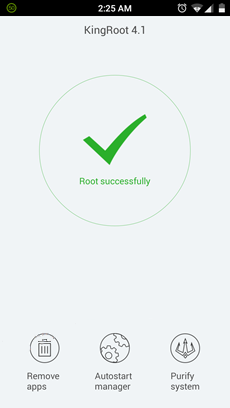 Now, press the START ROOT button to begin the process of root. Then restart your Android device. 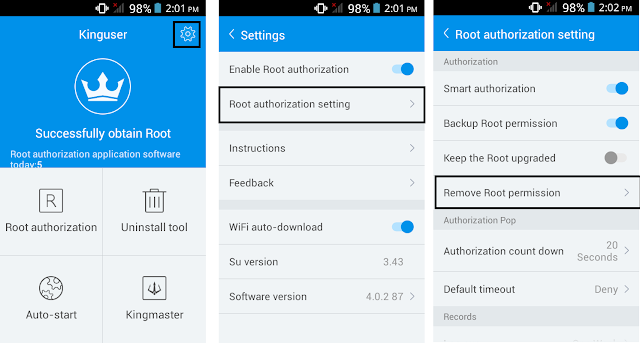 Kinguser already open, click on the Settings icon and select Root authorization setting, then select Remove Root Permissions. A popup will appear. Then select Clear. 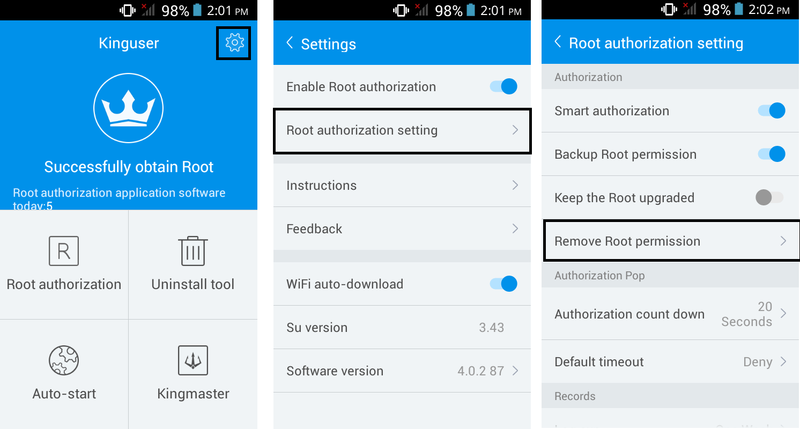 11 Responses to "How To Root Android Kitkat, Lollipop, Marshmallow, Nougat, Oreo Without PC"
Silahkan di coba gan, KingRoot tidak akan merusak Perangkat android agan apabila tidak Sukses. 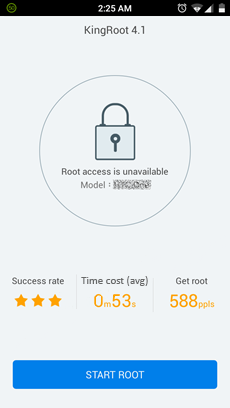 Gan, knpa saya selalu gagal root galaxy grand prime plus pake kingroot, tolong bantuannya yaa? Pastikan koneksi internet anda tidak lamban. 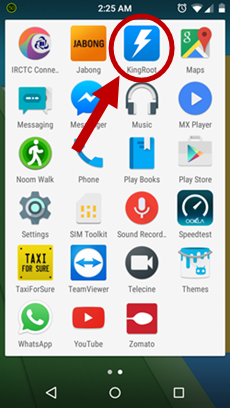 gan, untuk asus zenfone5 t00f bisa gk ya..? 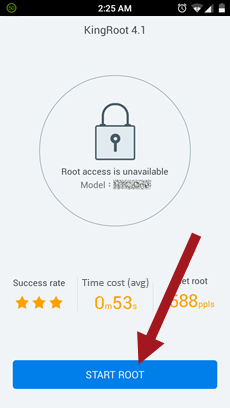 dicoba aja gan, walaupun gagal KingRoot tidak akan merusak Android agan.